Core: 1.44GHz,Quad Core. Type: Tablet PC. OS: Windows 10. TF card slot: Yes. Mini USB Slot: Yes. 3.5mm Headphone Jack: Yes. Tablet PC: 1. ●TF Card Expansion. PIPO W1 pro is a 2 in 1 deformation of the design of digital products. In addition to being available as a tablet, you can also use a dedicated hard shell hinge keyboard to form a mini-notebook computer. PIPO X9s is a smart Dual OS Mini PC with Windows and Android OS. 1x Pipo X9S Cassette Tablet PC. Windows 10 & Android5.1 Dual OS. 1 x Micro USB Cable. Ports Audio Jack 1. Language multi-language. 2GB DDR3L RAM 32GB ROM. Model: W2Pro. - OS: Android 5.1, Windows 10. - ROM: 32GB. - 1 x Pipo W2 Pro. - 1 x TF Card Slot. - RAM: 2GB. - Bluetooth: Support. It's possible?. Pipo W2PRO Tablet PC 8 inch Windows 10 Intel Cherry Trail Z8350 Quad Core 1.44GHz 2GB RAM 32GB ROM Dual Camera 1920 x 1200IPS. Model: N10. - 1 x PiPo N10 Tablet PC. - ROM: 32GB. Support WiFi 802.11b/g/n. - CPU: MTK8163A Cotex A53 Quad Core. - RAM: 2GB. - OS: Android 7.0. - 1 x Mini HDMI Port. Model: PiPO W11. - ROM: 64GB. 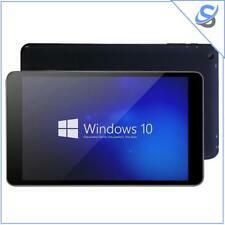 - 1 x W11 Tablet PC. - RAM: 4GB. - OS: Windows 10. - WiFi: 802.11g, 802.11n, 802.11ac, Support, 2.4GHz/5GHz. - Bluetooth: Support, V4.2. It's possible?. Model: PiPo N1. - ROM: 32GB. Support WiFi 802.11b/g/n. Support TF card and micro HDMI. - CPU: MTK8735 Cotex A53 Quad Core. Support Bluetooth 4.0 for wireless data transmission. - 1 x Micro HDMI Port. CPU Rockchip RK3188 ARM Cortex-A9 Quad Core Up to 1.6GHz. The Pipo M6's screen sits in a body that is second to none, the pixel density on the screen is so high that invidual pixels cannot be detected by the human eye resulting in super rich images. 8000MA Batterie. PIPO M1 MAX M1 & Tastatur Schutzhülle. Model : PIPO M1 Dual Core Tablet PC. PIPO MAX-M1 Komplett. Schutzhülle mit Tastatur. Gebraucht: Funktioniert Einwandfrei. WIFI : Yes, 802.11 b/g/n. Rockchip RK3188 ARM Cortex-A9 Quad Core Up to 1.6GHz. Pipo Max-M9 Quad Core. Android 4.2.2. 1 x Tablet PC. 1 x TF Card Slot. What's in the box. 1 x DC Jack. 1 x Micro USB Host. 2.4 GHz WiFi supportati, vi ad alta velocità garantisce surf. Model W2Pro. Marchio pipo. Storage Capacity 32GB. ● 32GB eMMC capacità di stoccaggio di ROM. ● 2GB di RAM DDR3L per il Multitasking avanzato. 7" 8GB Android4.4 Quad Core 3G 2 Cam WIFI Tablet PC TF 64GB For Kid Bundle Case. ●32GB eMMC ROM Storage Capacity. 36V 240Watt 26" Electric Front Bicycle Bike Wheel Motor Conversion Kit Bluetooth. Core Quad Core,1.44GHz. Windows 10 OS ensures you more wonderful user experience. 2.4GHz WiFi supported, ensures you high-speed surfing. ● 2GB DDR3L RAM for Advanced Multitasking. ● 32GB eMMC ROM Storage Capacity. Support Network 2.4GHz WiFi. ●2GB DDR3L RAM for Advanced Multitasking. ●32GB eMMC ROM Storage Capacity. Support Network 2.4GHz WiFi. OS Windows 10. Core Quad Core,1.44GHz. Type Tablet PC. Tablet PC 1. 3.5mm Headphone Jack Yes. Windows 10 OS ensures you more wonderful user experience. 2.4GHz WiFi supported, ensures you high-speed surfing. SUN X5 54W Ultraviolet UV LED Lamp Nail Dryer Curing Manicure Gel Care Polish. ● 2GB DDR3L RAM for Advanced Multitasking. Windows 10 OS ensures you more wonderful user experience. 2.4GHz WiFi supported, ensures you high-speed surfing. ● 2GB DDR3L RAM for Advanced Multitasking. ● 32GB eMMC ROM Storage Capacity. Tablet PC 1. CPU:MTK8163A, 1.5GHz Arm Cotex A53, Quad Core. Ram:2GB DDR3. Android 7.0. Interface:TF Card slot x1, Micro USB/Host port x1，3.5mm headphone jack x1, Micro HDMI port x1. Systems:Android 7.0. PIPON8 Tablet. Windows 10 OS ensures you more wonderful user experience. 2.4GHz WiFi supported, ensures you high-speed surfing. ● 2GB DDR3L RAM for Advanced Multitasking. ● 32GB eMMC ROM Storage Capacity. Core Quad Core,1.44GHz. 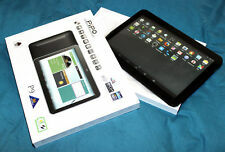 Model PIPO W2S Tablet. Included 1 xPIPO W2S Tablet PC. Capacity 32GB. Windows 10. System Windows 10. I am already glad to help and resolve any issue at the best way. Extend Card Support SD card up to 64GB. The exclusive WXGA Display has very high pixel density 1920x1200 resolution. With this Amazing FullHd screen all the details, even smallest one will be clearly displayed! Windows has pre-installed all the professional programs and tools suitable for any of your needs. Android 7.0 System. 1920 x 1200 resolution brings you high contrast and more vivid visual experience. Detail Image. Provide accurate location for you. Adopt Android. Model PIPO X9S. Included 1 xPIPO X9S Tablet PC. Capacity 32GB. 5.1 Windows 10 Dual System. Support Bluetooth. 1 x TF card slot. 1 x Ethernet Slot. Modell W2Pro. Eingebautes Laufwerk mit großer Kapazität 32 GB EMMC, 2 GB DDR3L-Speicher. 1 x Micro HDMI-Anschluss. 1 x Netzteil. Eingebaute 3.8V-Lithium-Ionen-Energie der Batterie 3800mAh, kann 3-6 Stunden kontinuierlich arbeiten. 1 x PIPO W2Pro Tablet PC. Model: PIPO W2Pro. -2GB RAM 32GB ROM. Capacity: 32GB. -Windows 10 System. System: Windows 10. 1 x USB Cable. 1 x Micro TF card slot. Android 7.0. 1 xPIPO N8 Tablet PC. Extend Card. Support TF Card up to 64GB. 1 x USB Cable. 1 x OTG Cable. We will solve the problem in best friendly and correct manner! 1 TF Card Slot. Windows 10 OS ensures you more wonderful user experience. 2.4GHz WiFi supported, ensures you high-speed surfing. 6" HOMTOM HT70 Type-C 4G Smartphone 10000mAh Octa Core 4G 64GB 13MP OTG WIFI EU. ● 32GB eMMC ROM Storage Capacity. 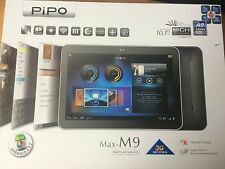 Model PIPO X12 TV Box Tablet. Capacity 64GB. Included 1 xPIPO X12 Tablet PC. 1 x TF card slot. Graphic(Gen8) GPU.Adopts Windows10 System and 4GB RAM 64GB ROM ! Box Style design,give you a unique experience! NEW PIPO N10 2GB 32GB. 1x PiPo N10 Tablet PC. Support WiFi 802.11b/g/n. CPU : MTK8163A COTEX A53 QUAD CORE UP TO 1.5GHZ - TABLET PC. CPU: MTK8163A Cotex A53 Quad Core Up to 1.5GHz. Support Bluetooth 4.0 for wireless data transmission. Still in great condition. Comes with charger, data cable, original box, and pink case. Model PIPO X10 Pro TV Box Tablet. Capacity 64GB. Included 1 xPIPO X10 Pro Tablet PC. Box Style design ,give you a unique experience! Video AVI/RM/RMVB/MKV/WMV/MOV/MP4/DAT(VCD format)/VOB(DVD. 1 x Micro HD port. ). 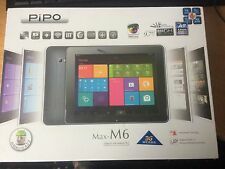 Model PIPO X8 Pro TV Box Tablet. Capacity 32GB. Extend Card Support up to 32GB. Included 1 xPIPO X8 Pro Tablet PC. 1 x TF card slot. Adopts Windows10 Android 5.1 System and 2GB RAM 32GB ROM ! Box Style design,give you a unique experience! Adopts Android 7.0 OS and 2GB RAM 16 GB ROM. CPU MTK8163A Cotex A53 Quad Core 1.5GHz. Model PIPO N8. Included 1 xPIPO N8 Tablet PC. Capacity 16GB eMMC. System Android 7.0. 1 x USB Cable. 1 x OTG Cable. Sistema operativo Android 7.0. MTK8163A, processore Cortex A53 Quad Core da 1,5 GHz. Sistema operativo Android 7.0. 1 x Tablet PC. La Comunicazione dovrà contenere Nei casi sopra indicati, provvederemo a restituire al mittente il bene acquistato. ·Connect to a TV, this is a Windows TV box. ·Use alone, this is a tablet PC. CPU speed up to 1.92Ghz quad core. 2.4G WiFi 802.11b / g / n wireless connectivity. ·Connect to a monitor, this is a mini PC.